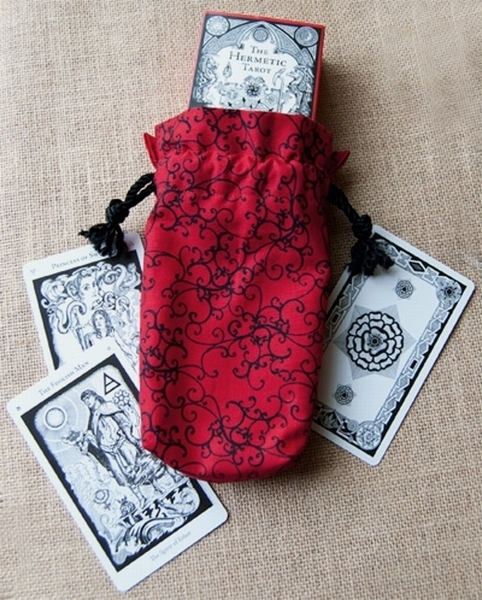 Double Draw Tarot Bags - Alliances Double Draw Bag - Tarot Bags, Tarot Cards, Cloths, & More! A design straight out of the Baroque Period, black scrollwork sprawls across a cherry tomato red background. In that era when tarot was still in its infancy, powerful alliances were a must for survival at any royal court. 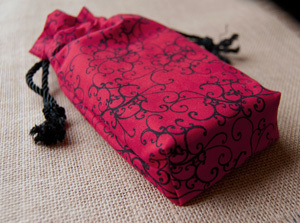 This bag offers unparalleled elegance and will have you reading in style!